The current trend in Europe towards negative interest rates amounts to taxing whatever cash you have left after paying 50% in taxes. The bond auctions are starting to show signs that people will wake up and see what is going on. The incredible fact is that now, about 30% of all government debt in Europe is trading at negative rates, which amounts to about €2 trillion of securities in total. The most important discovery I made was bumping into the 8.6-year frequency. 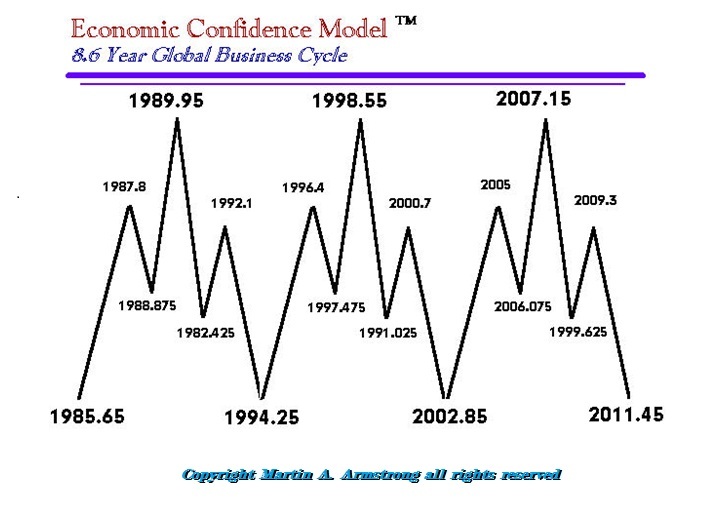 The second was observing that each cycle wave focused into a different sector, both domestically or internationally. Capital has moved wildly over time but we tend to learn from the last mistake by trying something different, expecting to find that perfect investment that never crashes. That Utopian idea does not exist, for human emotion dictates how markets function. 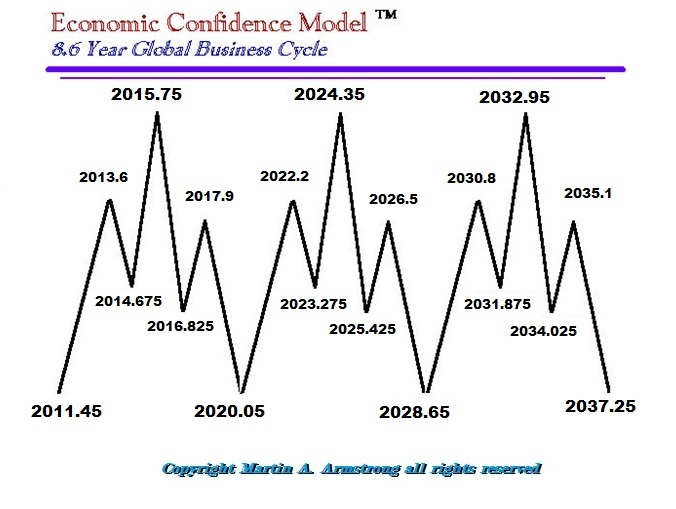 We have the last three major business cycle waves to confront within this major generational wave. Hopefully you can see that these waves peak, and once you understand how things function, you are able to see the wave coming. The wave that peaks on October 1st should not produce an instant event as we have seen in the past, with certain wave peaks producing a major high or low in various private sector markets. This is the PEAK IN GOVERNMENT. Polls already show that 75% of Americans do not trust politicians. The same is true everywhere. 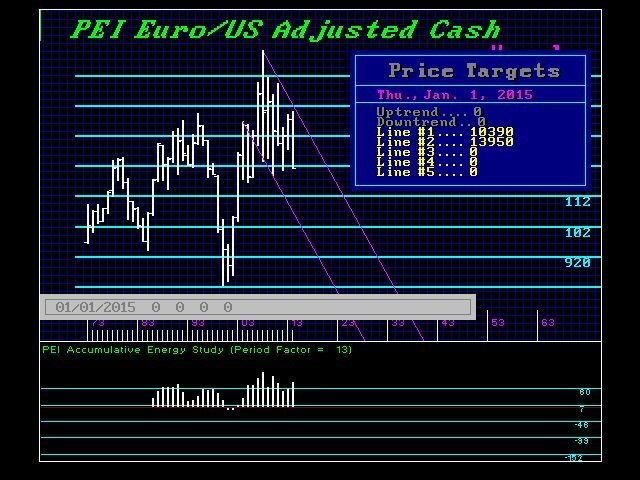 Our model on the Euro has been interesting. It began a new wave 2008.83. 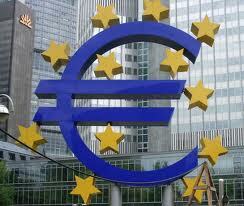 The economic failure of constructing the Euro began to burst through the cracks. 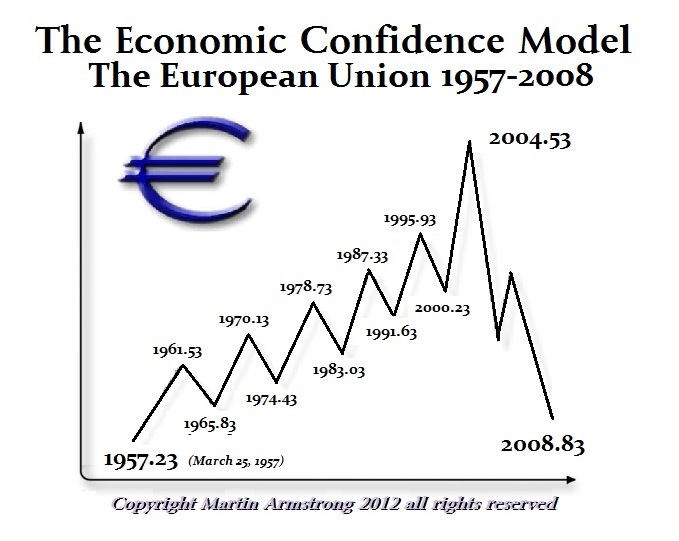 The major high for the Euro came right on target with the model in 2008. 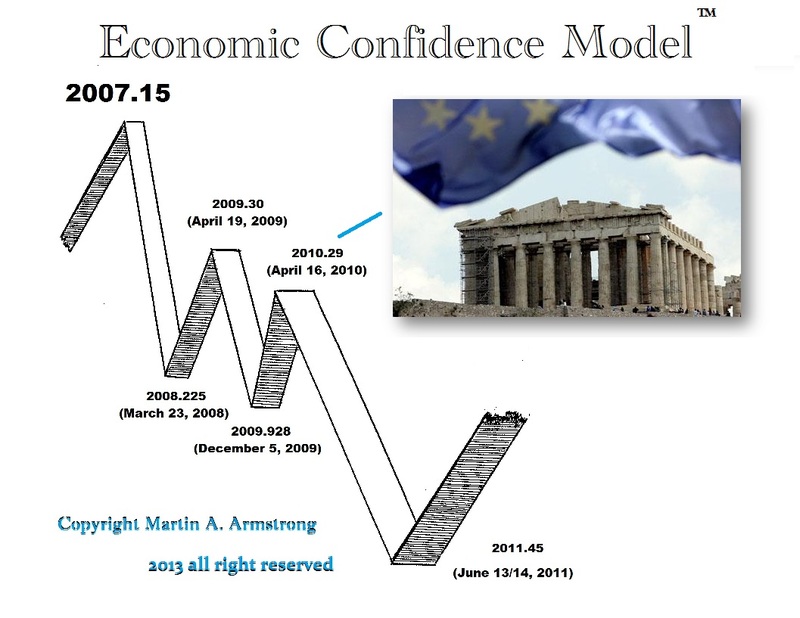 We have the Greek crisis that began in 2010, to the day on pi, from the high in 2007 on the Economic Confidence Model. Whenever something lines up with the international ECM to the day, such timing CONFIRMS that will be the intense focus. The alignment of the Greece Debt Crisis to the day on the pi cycle is a warning that this cycle is all about government and the Sovereign Debt Crisis. The turning point on 2015.75 should begin the more obvious debt crisis that is brewing. Then the general public will become aware. We have an insane policy at the European Central Bank, which is quantitatively easing on taking the interest rates negative, rather than doing what even Keynes suggested – lowering taxes to stimulate. Unemployment among the youth is over 60% in parts of Europe, and American students are oppressed by loans they cannot escape. Yet, 65% of college graduates cannot find employment in their field of study that they paid so much money to obtain. They cannot escape the debt, thanks to bankers paying bribes to politicians. In America, we too have a lost a generation that now lives in their parents’ basements. Student loan debt prevents them from starting a life – they cannot afford to start a family, or even buy a home. The negative interest rates are oppressing the elderly, robbing them of their dreams. They were told to save for retirement, but now they face negative interest rates after paying a lifetime of taxes. Four months ago, when 10-year Swiss yields turned negative for the first time, demonstrated that capital was scared of the Euro and was just looking to park somewhere. Larry Summers was the herald of that event which has snowballed into a veritable avalanche of negative rates across European government bond markets, faster than in real life from the top of the Matterhorn. There is so much cash around and nothing to invest in, that we see companies buying back their own stock. This will set the stage for a potential Phase Transition and a bubble top in U.S. stocks, which could be a doubling in the Dow. This is the same problem during the 1920s, where companies were also buying back stock even during the crash. When companies buy back their own shares, it reduces the supply and sets the stage for a shortage. This is clearly the PEAK IN GOVERNMENT. We are facing a collapse in confidence of government on an unprecedented scale. Politicians are predominantly lawyers with ZERO practical experience in running a business or understanding currency flows. They only know how to write laws. We need people from all walks of life in government – not more lawyers. No one would go to a taxi driver for brain surgery. So why call a lawyer to manage an economy? This demonstrates that education is worthless, for all the money spent on degrees mean nothing if a lawyer can do any field without such degrees.